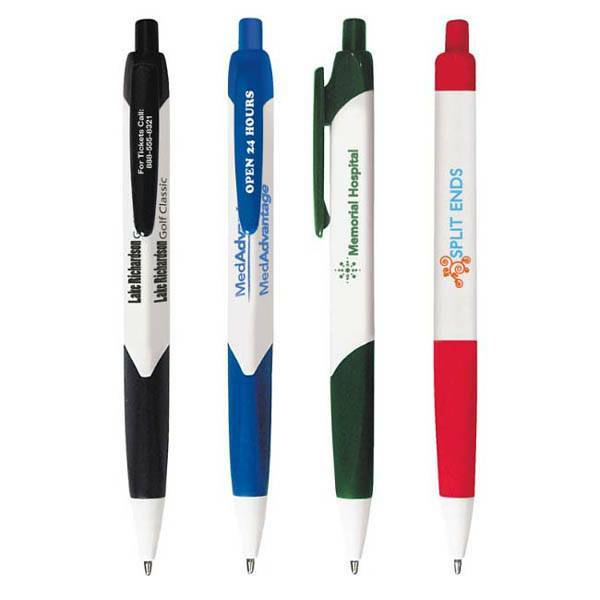 3-sided Retractable, triangular shaped ballpoint pen with comfortable rubber grip. Black ink refill (optional blue ink available in blue trimmed pen only). Black ink standard. Price includes your logo and Safety Message too! Price includes an imprint on all three (3) sides.